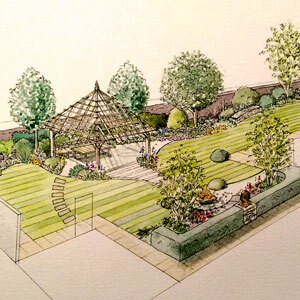 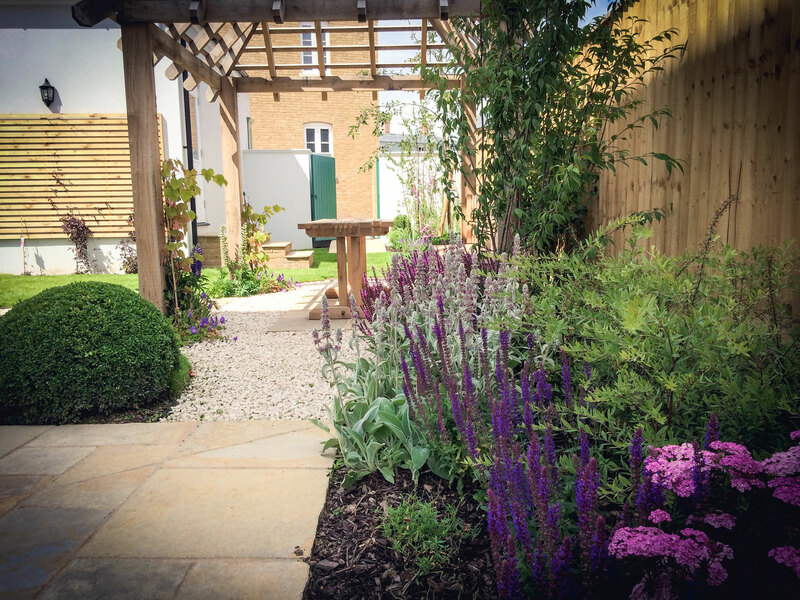 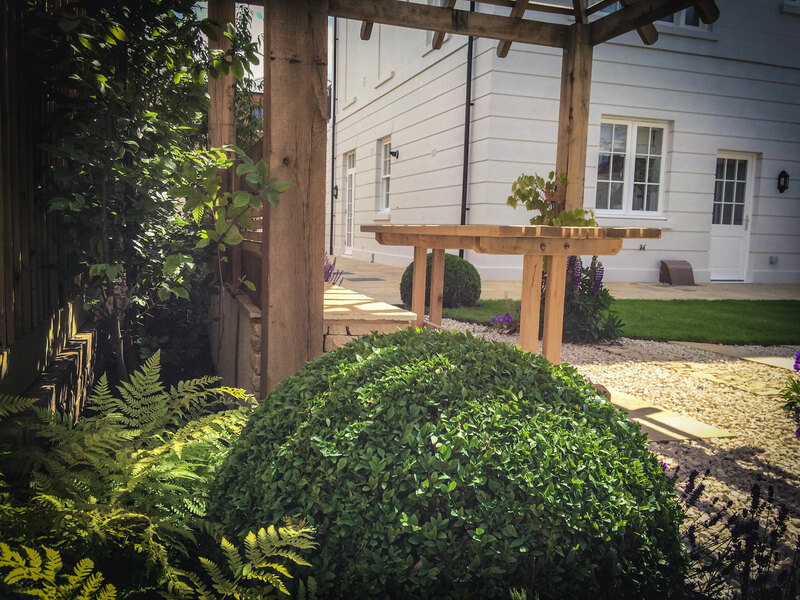 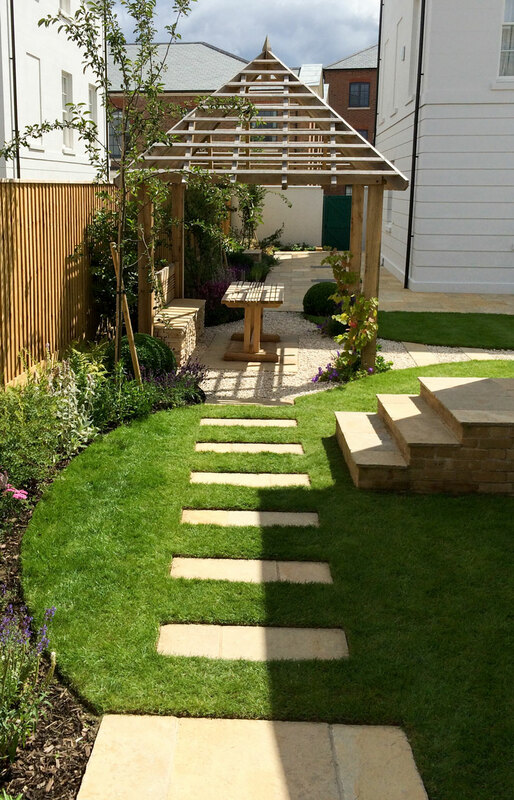 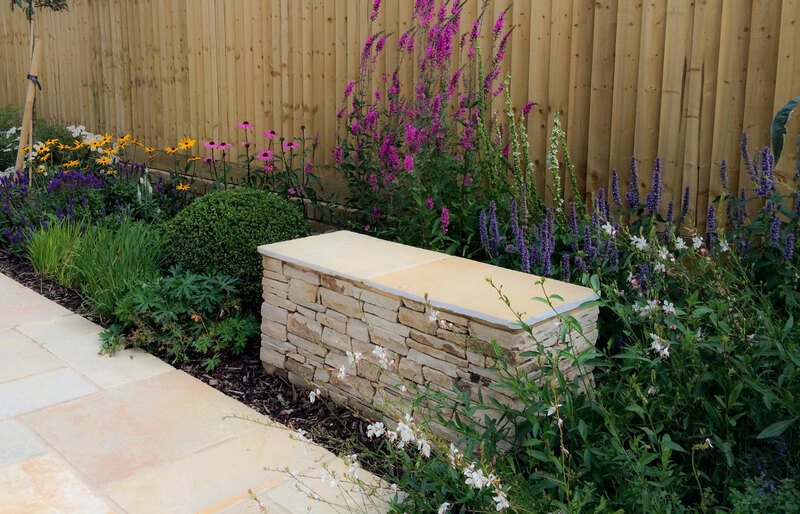 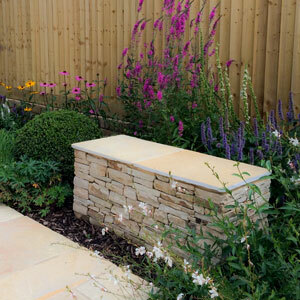 To design a garden that could be enjoyed by a medium sized family, with an area for alfresco dining and enough space for the children to play in. 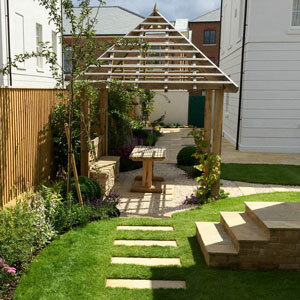 As the plot was an unusual shape it made sense to make the centre of the garden the hub of activity. 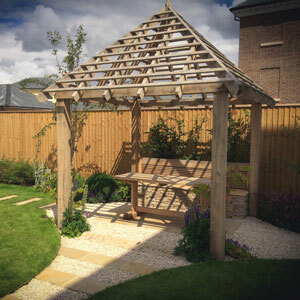 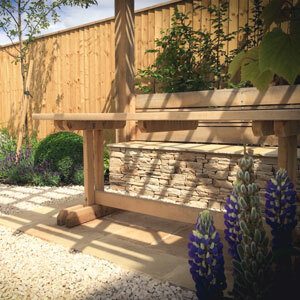 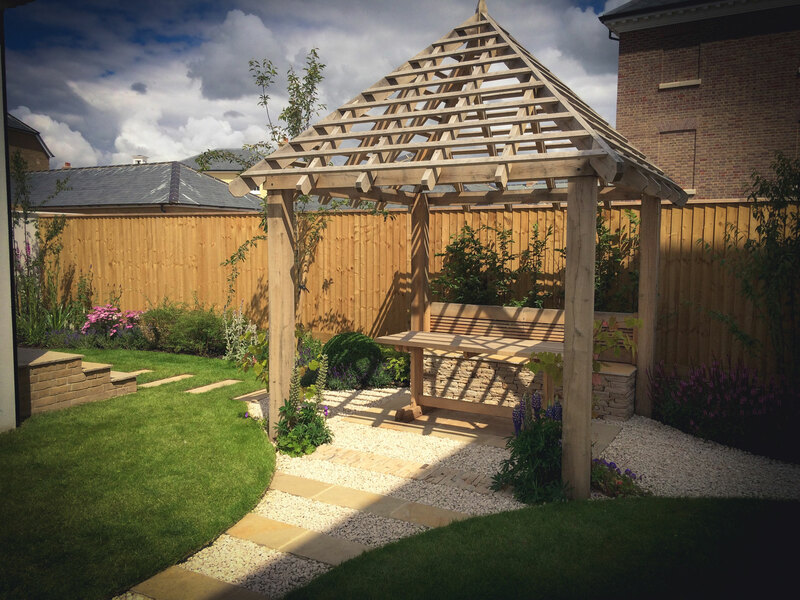 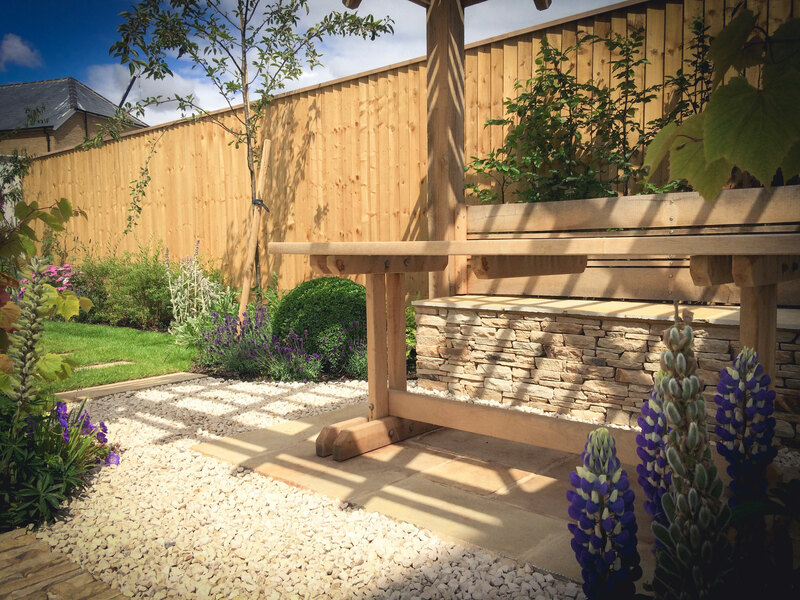 An exposed framed-roof oak gazebo is the main feature, and the built-in sandstone bench and bespoke oak table provide ample room for dining outside and for relaxing and viewing the rest of the garden. 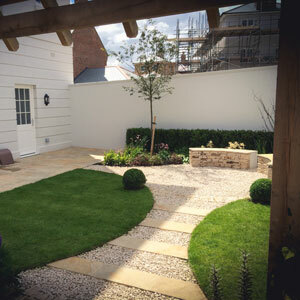 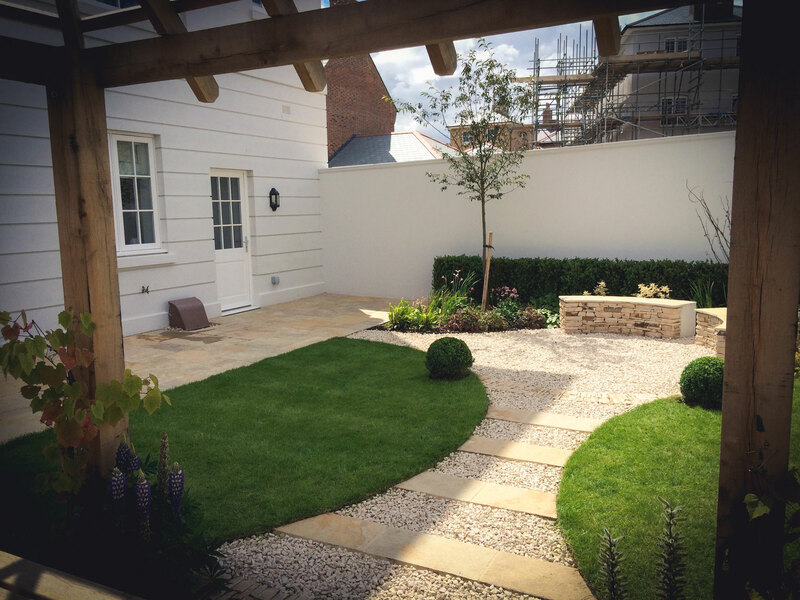 An hourglass shaped path with its alternating sandstone and aggregate pattern, leads to a fire-pit area with a steel fire bowl and curved stone benches, which reflect the stonework used elsewhere in the garden. 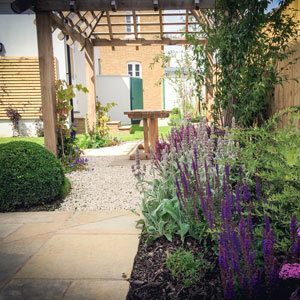 Several varieties of ornamental trees are used in the border, bringing vibrant spring colour and beautiful foliage throughout the following months. 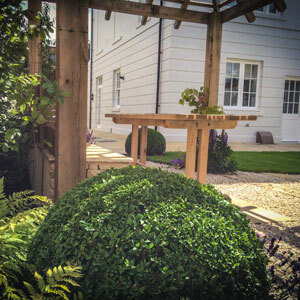 An abundance of spring and summer flowering perennials introduce a mass of colour and aromas into the garden which contrast beautifully with the orderly, clean cut Buxus topiary.